The British Invasion Years members. 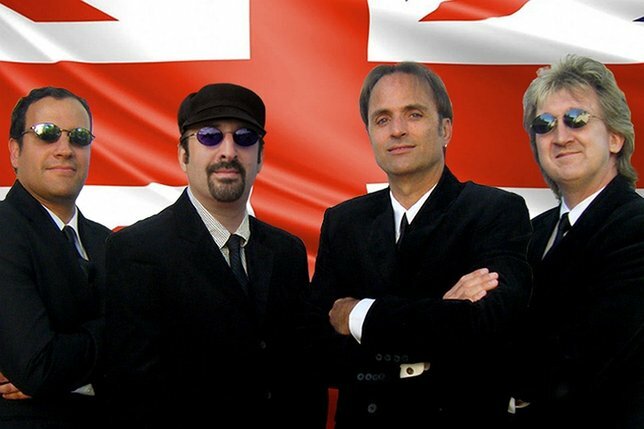 Sag Harbor, NY - February 4, 2019 - Bay Street Theater & Sag Harbor Center for the Arts is pleased to announce The British Invasion Years tribute concert on Saturday, March 9 at 8 pm. Tickets are $35 when purchased in advance and $45 when purchased the day of the event; on sale now at baystreet.org or by calling the Box Office at 631-725-9500. The Box Office is open Tuesday- Saturday 11 am – 5 pm or until showtime. More than just The Beatles, this nostalgic musical tribute spans the entire ‘60s British Invasion era with music from BOTH sides of the Atlantic, and is three acts in one. This journey through the 1960s concludes with an extraordinary finale with songs from the four lads that started it all– The Beatles! Subject: LongIsland.com - Your Name sent you Article details of "The British Invasion Years Nostalgic Musical Tribute at Bay Street Theater"